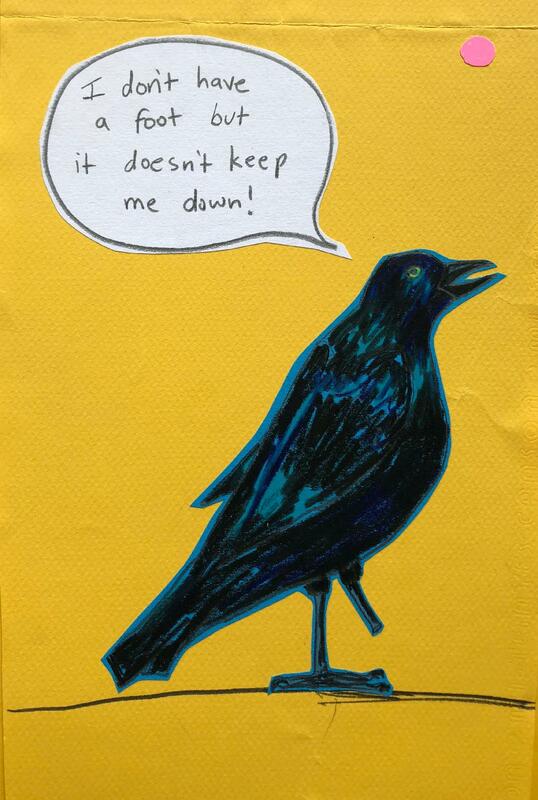 I walked by an inspiring blackbird in a parking lot the other day. His foot was perfectly severed and had healed back cleanly, with no clumpy scar left over so his leg looked like a piece of dry spaghetti, except it was black. And he didn’t care at all. He was just hopping around in the sun, looking for worms and bugs. His friends were around him and they all had both their legs and they didn’t seem to notice his leg at all. He was shiny and healthy and when I stepped closer to him and bent down look at him. He tilted his head up at me so one of his yellow eyes could see me better. “Hello bub.” I said. He practically shrugged, hopped away from me and then took off into the blue sky.